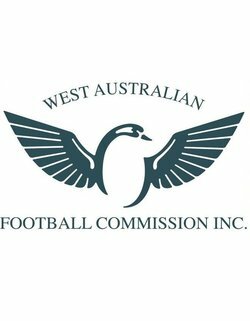 As part of your District's commitment to maintaining a strong line of communication with all of our junior clubs, we regularly publish football related circulars on behalf of your DFDC and the WA Football Commission. These circulars contain information crucial to the successful running of your club and in turn, to the successful running of your competition. This week, several circulars have been published that require your attention. The Team Nominations form for 2019 is now accessible online via Circular 1. This form not only makes us aware that your team has put it's hand up to be included in our fixture planning but it also enables your team to indicate a preferred grading for 2019. The deadline for team nominations is the 18th March, 2019. Special Requests is another form crucial to our season planning. If your club has a Gala Day, boarders' long weekend or any special event, we need to know about these occasions well in advance of the season start date, so we can do our best to accommodate your request. The deadline for notification of your special event is the 25th March, 2019. The Volunteer Payments circular provides crucial detail on club payments to its volunteer workforce and how those payments may affect your personal tax liability for the 2018-19 taxation year. Please take the time to read this circular if this is of relevance to you. We have several overarching policies that have been accepted for implementation throughout the season by your DFDC. These policies cover a range of topics such as our Healthy Clubs policy, bullying, disabilities, racial vilification, discrimination, our respect and responsibility statement and our risk management policy. All clubs are bound by these policies and are valuable tools for the creation of a harmonious environment for your participants. In 2018 we began implementing the use of the Interchange App for keeping track of player movements through the interchange gates and to keep a record of total on field time for each individual involved in the game. The use of this app is now compulsory. This circular details that change and to which competitions the change is applicable. To view all circulars CLICK HERE.